Killa Expeditions is always on the search for creating better connectivity through partnerships and shared experiences. 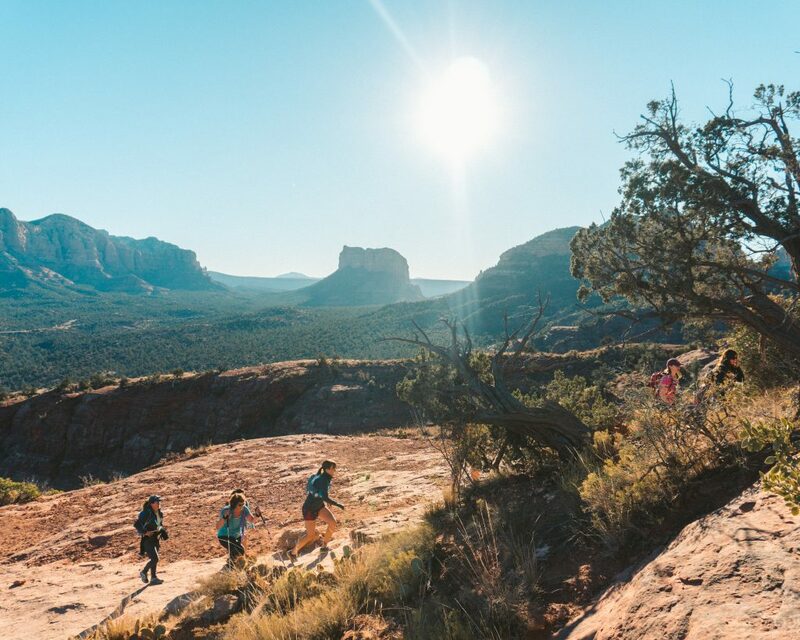 We’re excited to announce our new partnership with Mountain Chicks, an all-inclusive adventure platform for women of different types, activity level and activity preference. Supporting an all-women community, connecting like-minded people around the globe and helping them explore Peru are just a few of the reasons we’re looking forward to this partnership. Get to know a little more about Mountain Chicks and their founder, Dani. On your website, you said you didn’t really start hiking until you moved to Arizona. What was it about Arizona that made you want to take up hiking? Honestly, it was the availability of outdoor activities. Arizona has plenty to offer when it comes to hiking. I didn’t even know about half of it until I moved to Florida where there are no mountains. That’s when I started to appreciate the desert! How did an Instagram curation page grow into something as far-reaching as Mountain Chicks is now? I have no idea sometimes. Mountain Chicks was a curator page I started to help other women tell their stories of how they began to get outside. I didn’t find many places to share mine, so why not create that space? From there, messages began to flood in. Women were asking when we’d start hosting events. The first event we hosted was in Arizona, which was the start of the Arizona Chapter. Chapters across the U.S. from Oregon to Utah were then created. 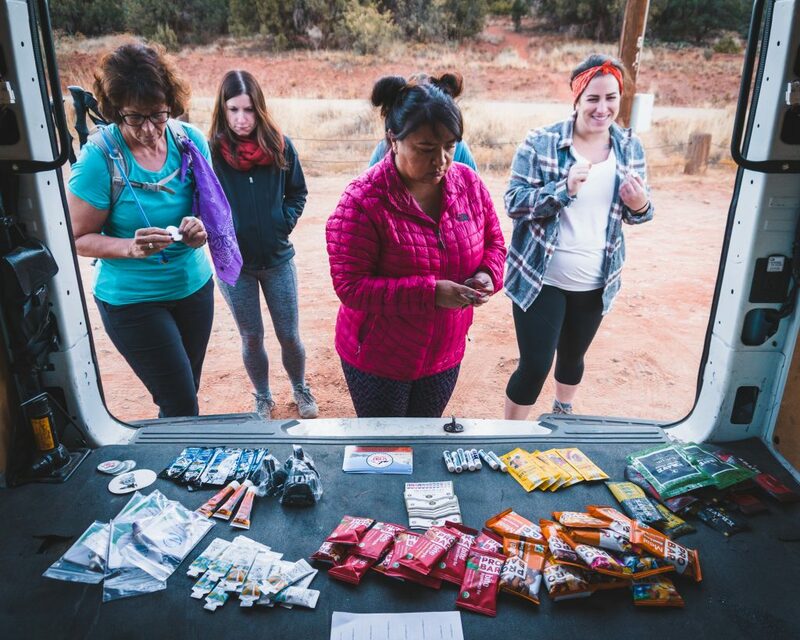 Before I knew it, Mountain Chicks was a worldwide community full of eager outdoor lovers! Why did you choose to make the focus on women? The intention was to actually have a “true” co-ed community at first. I had a different curator page I was running, but it fell through. One thing I did notice, though, is that women were more open to the idea of storytelling, for some reason. Once Mountain Chicks started to gain traction, I started to think about all the women-focused groups out there that don’t make much mention of men at all. I found that some members felt awkward asking if it was “okay” for a man to come to our events. “Is this allowed?” was a question I started to hear too many times. My answer has always been “it doesn’t matter.” Mother Nature never discriminates and never will. Mtn Chicks will never own the outdoors. That’s when being a women-focused community became more important to me. We needed to change the narrative and the way we were empowering women. Our method to doing so is by encouraging women to bring others outdoors with them (men, children, pups, etc.). We’re giving them the key to make this community what they want it to be without being exclusive. The group hikes have been going on for a little over a year now. How did you feel when those started happening across the country? Do you have any particularly great memories from them? It still blows my mind! Sometimes I am a bit shocked to see the amount of growth this community has gone through. My favorite memory definitely has to be the first out-of-state hike I attended. I flew to Denver to meet my ambassadors out there and join them on a hike. It was June and I was expecting a warm sunny day. When I landed, there was a giant snowstorm running in. I had no winter gear or clothing with me, so I knew I was in for a treat. The day of, only three people showed up, but we had a blast. I’ve never fallen so much in snow in my life, and I couldn’t have been happier to be there and witness the beginnings of the community. Where do you see Mountain Chicks going in the future (generally as a company, but also geographically)? I would love to continue to combine my affinity for adventure travel and the Mtn Chicks community. We’re starting to plan international retreats that will take men and women on an adventure to an explorer’s paradise. That’s been a long-term goal of mine and I’m happy it’s finally coming to fruition! I would love to see us have official chapters in countries like New Zealand and even Iceland! There’s so much to do across the globe. My biggest goal though would be to have an ambassador in every state and have consistent events planned in each chapter whether they are planned by an ambassador or a member. We’re getting there! 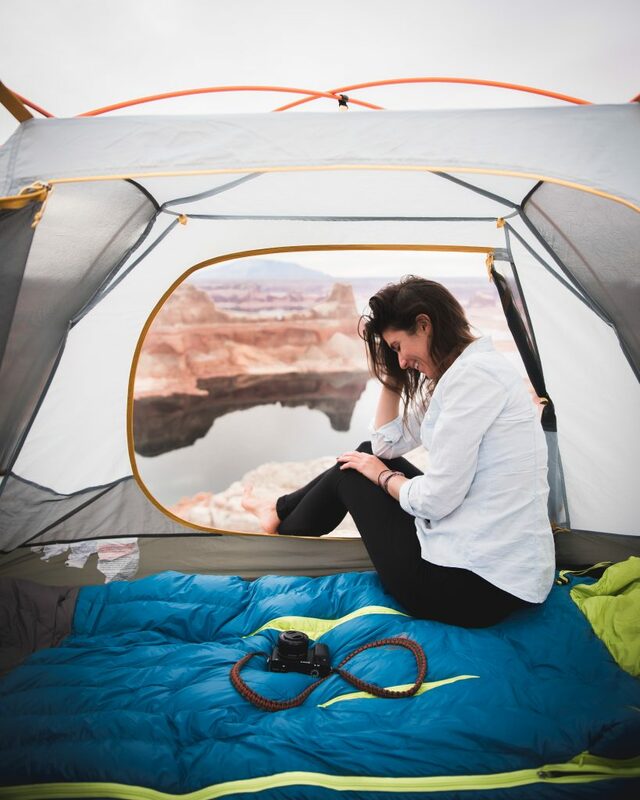 What advice would you give to other women who are new to the outdoors? Just go. There’s no point in wishing and hoping you’ll somehow do the things you’ve been wanting to do, outdoor related or not. 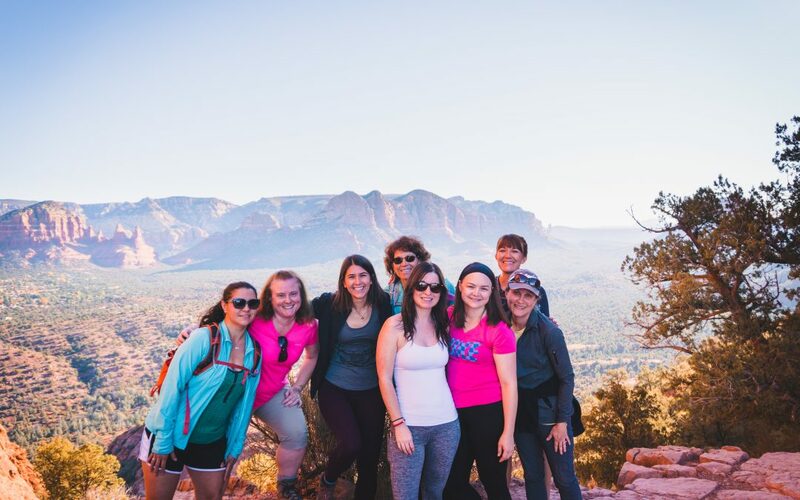 Mountain Chicks is just one community out of literally hundreds that get folks outdoors. Join one! Mtn Chicks is full of more beginners than one might think. You’ll never be the only one who hasn’t hiked before or the only “slow” person in the group. You’ll never know where you fit in, though, until you try. What led you to a partnership with Killa Expeditions? I love the fact that Killa offers fully customized tours and has a wide array of them. When I saw the Rainbow Trek itinerary and how detail orientated the team made their site, I knew we had to become partners. I haven’t even gone on my Peru trip yet and I can already tell Killa goes the extra mile to make their treks the best! I also love that they practice ethical, sustainable and earth-friendly travel since that is an important feature of Mountain Chicks too. What are you most looking forward to on your trip to Peru this June? I am so excited to see a new landscape. It’s easy to adventure in your area and take it for granted. I’ve caught myself doing that a few times in and out of Arizona. This trip, I’m going to focus on taking it all in and appreciating the fact that I’m exploring a place others (including myself) dream about for years. I’m so excited to see the places I’ve been drooling over in pictures! A Note From Killa: We are thrilled to be teaming up with Dani from Mountain Chicks for our Rainbow Mountain Trek this June. And are so excited to start offering retreats and other custom tours for Mountain Chicks in the future! Stay tuned for updates and trip announcements by checking our blog or sign up for our newsletter below!